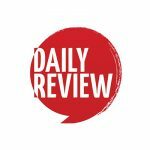 Collusion: How Russia Helped Trump Win the White House | Daily Review: Film, stage and music reviews, interviews and more. The following extract from Luke Harding’s Collusion is an exposé about the biggest political scandal of the modern era. Harding is the author of The Snowden Files. He was a foreign correspondent with The Guardian and its Moscow bureau chief between 2007 and 2011. The Kremlin expelled him from the country in the first case of its kind since the cold war. He is also the author of A Very Expensive Poison: The Definitive Story of the Murder of Litvinenko and Russia’s War with the West, Mafia State and co-author of WikiLeaks: Inside Julian Assange’s War on Secrecy and The Liar: The Fall of Jonathan Aitken. Two of Harding’s books have been made into films; The Fifth Estate and Snowden. It’s a zone of arrivals and departures. Around Foch are brown benches splattered white with pigeon droppings and tall plane trees. There are tourists, commuters, and the odd hirsute bum, sipping from a can of lager and muttering. The man who owns this prime slice of real estate is the Duke of Westminster. He’s Britain’s wealthiest aristocrat. Keep going and you reach a row of tall neoclassical houses, done in French Renaissance style. This is Grosvenor Gardens. The street looks onto the back wall of a world-famous residence, Buckingham Palace. With a bit of pluck and a long ladder you might vault directly into Her Majesty’s private back garden. Its ﬁr trees, poking into the grey London skyline, are visible to commoners. The Queen’s lake is unseen. Some of the houses here announce their inhabitants: PR ﬁrm, Japanese restaurant, language school. But at number 9–11 Grosvenor Gardens there’s no clue as to who or what is inside. Two pillars frame an anonymous black front door. There’s a closed-circuit TV sign. No names on the door buzzer. Above, three ﬂoors of offices. If you enter and turn right, you ﬁnd yourself in a modest ground-ﬂoor suite: a couple of bare rooms painted ivory white, a medium-sized colour map of the world ﬁxed to one wall, white blinds just above street level on high windows. There are computers, and a newspaper, too: a copy of The Times. The impression is of a small, discreet, professional operation. Orbis is in the non-state spying business. It spies for commercial clients—delving into the secrets of individuals and institutions, governments and international organisations. Decoded, Orbis is in the non-state spying business. It spies for commercial clients—delving into the secrets of individuals and institutions, governments and international organisations. London is the global capital of clandestine intelligence. “A tough sector,” in the words of one former British spy, who worked in it for a year before landing a job with a large corporation. There is more than a dozen such ﬁrms, staffed mostly by former intelligence officers specialising in foreign know-how. This isn’t quite the world of classic espionage or James Bond. But it’s not far from it. The man who runs Orbis is called Christopher Steele. Steele and his business partner Christopher Burrows are Orbis’s directors. Both are British. Steele is ﬁfty-two; Burrows a little older, ﬁfty-eight. Their names don’t appear on Orbis’s public material. Nor is there mention of their former careers. Steele’s office gives few clues as to the nature of his under- cover work. Lined up near the director’s desk are nesting Russian dolls, or matryoshka. A souvenir from Moscow. They feature Russia’s great nineteenth-century writers: Tolstoy, Gogol, Lermontov, Pushkin. The dolls are hand-painted and have the names of the authors written towards the base in ﬂorid Cyrillic characters. The upper-case T of Tolstoy resembles a swirling Greek Pi. (Its) ﬁndings were sensational, and the resulting dossier would in effect accuse President-elect Trump of the gravest of crimes: collusion with a foreign power. In the tumultuous days of 2016, the dolls were as good a metaphor as any for the astonishing secret investigation Steele had recently been asked to do. It was an explosive assignment: to uncover the Kremlin’s innermost secrets with relation to one Donald J. Trump, to unnest them one by one, like so many dolls, until the truth was ﬁnally revealed. Its conclusions would shake the American intelligence community and cause a political earthquake not seen since the dark days of President Richard Nixon and Watergate. Steele’s ﬁndings were sensational, and the resulting dossier would in effect accuse President-elect Trump of the gravest of crimes: collusion with a foreign power. That power was Russia. The alleged crime—vehemently denied, contested, and in certain key respects unprovable—was treason. The new US president designate was, it was whispered, a traitor. To ﬁnd a plot that crazy, you had to turn to ﬁction: Richard Condon’s the Manchurian Candidate, about a Soviet– Chinese operation to seize the White House. Or a largely forgotten thriller by the writer Ted Allbeury, The Twentieth Day of January. In this one, Moscow recruits a young American during the 1968 Paris student riots who goes on to greater things. Like Steele, Allbeury was a former British intelligence officer. This is an extract from Collusion by Luke Harding (Faber) available now in all good bookstores and online. For those watching the slow but methodical path of the Mueller inquiry and the prosecutions and admissions of guilt that it has produced so far Rachel’s comment above seems uninformed or worse. I wonder if the book mentions how there is still no solid evidence of Russian collusion in the election and that this Putin fairytale seems mostly like a embittered rant from a defeated Hillary Clinton. Probably not. Perhaps the best way of finding out if the book mentions that “there is still no solid evidence of Russian collusion in the election” is to actually read it! Until then, it seems rather premature and pretentious to label the book and its “Putin fairy-tale” as seeming “like an embittered rant from a defeated Hillary Clinton. “Probably not” is not good enough – disingenuous and dishonest.